Hello friends. I’m back with another NYC post. If you missed my first post from my New York trip, you can find it here. We are switching gears from food to some of my favorite sights. New York is packed to the brim with things to see, it’s hard to pick which things are the most important. But this one is a no brainer. 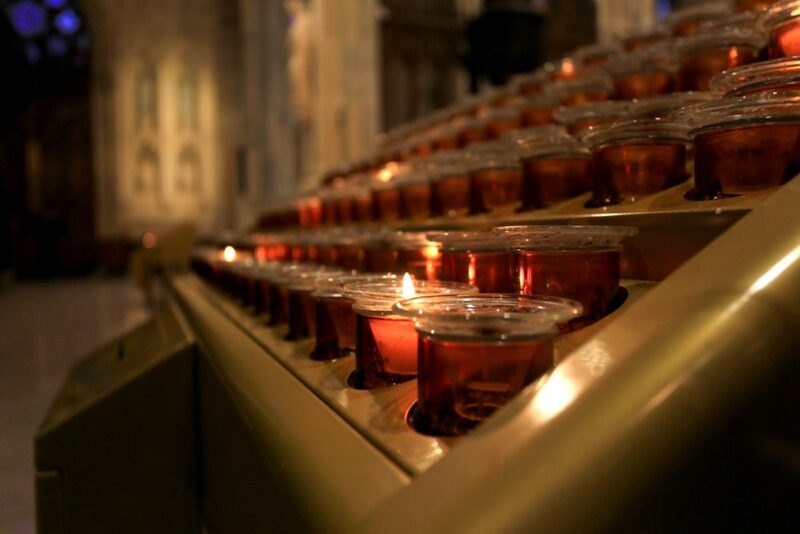 If you are in New York, go to St. Patrick’s Cathedral. There is a funny thing, most people might not know about me (yes a tangent is coming!). I was raised in a Catholic home, attended Catholic schools from 2nd-9th grade and have participated in all the sacraments through Confirmation. While my church going days have mostly been limited to Easter and Christmas, I still find solitude in my faith. As a child, you are mostly going through the motions during religion classes or mass. As an adult, I may not go to Church every Sunday or not eat meat on the Fridays of Lent, but I am still VERY much a faithful person. 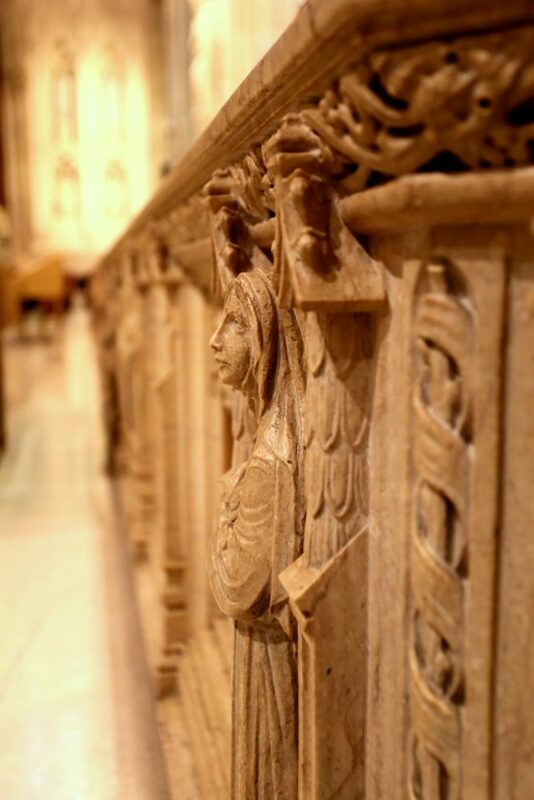 In high school, I took a religion class called “Problems with Faith.” The class was about questions and doubts you may have in your Catholic faith. I remember my teacher saying, “You don’t need to be in a Church to be closest to God.” If nothing else in all of my religious journeys, I’ve held SO tight to that notion. Whether I am on a hike with my best friend overlooking the ocean, or I am crying my eyes out in my car feeling broken- I feel connected to God. In the moments I need Him the most, or the moments I need Him the least- I reach out and find peace. Along my life travels, I’ve sought out cathedrals. St. Patrick’s in Dublin, St. Paul’s in London, St. Mary’s in Edinburgh. I step inside and a feeling of tranquility rushes over me. 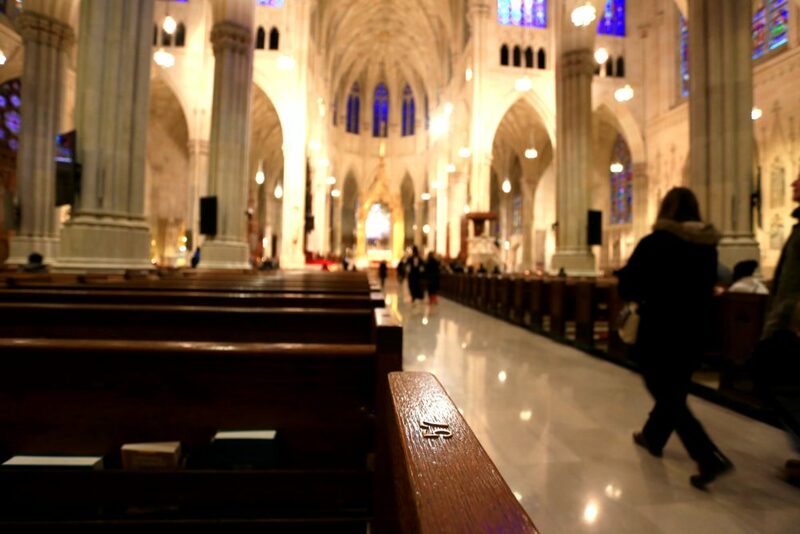 Here we were, in New York City, one of the busiest places on earth, yet inside St. Patrick’s it’s calm, quiet, collected. You forget about the rush of life outside the walls and can sit and pray, think, reflect. 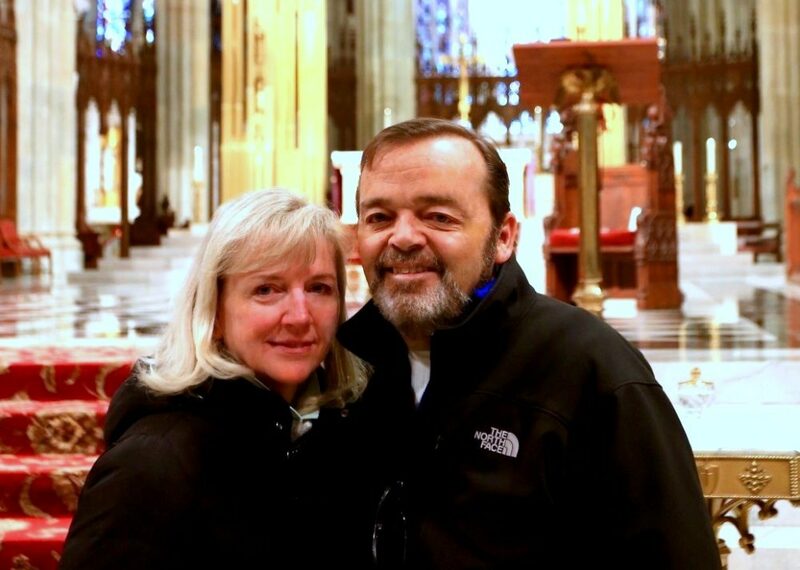 I can’t suggest it enough, even if you aren’t religious, visit St. Patrick’s Cathedral in NYC. Take in the history, the architecture, and feel the solitude it creates. Life is a scary thing- seek out places to find peace. Okay… I am OBSESSED and jealous. this is so beautiful and immaculate. I bet this trip was just unbelievably breathtaking! You are so lucky! St. Patrick’s is one of the most grounding places in the city. It really is a place to re-calibrate. What a great post! I really related to your concepts nad ideas about the catholic faith, as I was raised catholic too, so I’ve had challenges with it! Its always good to go back to having faith in God as a whole rather than the churhc concept for me! 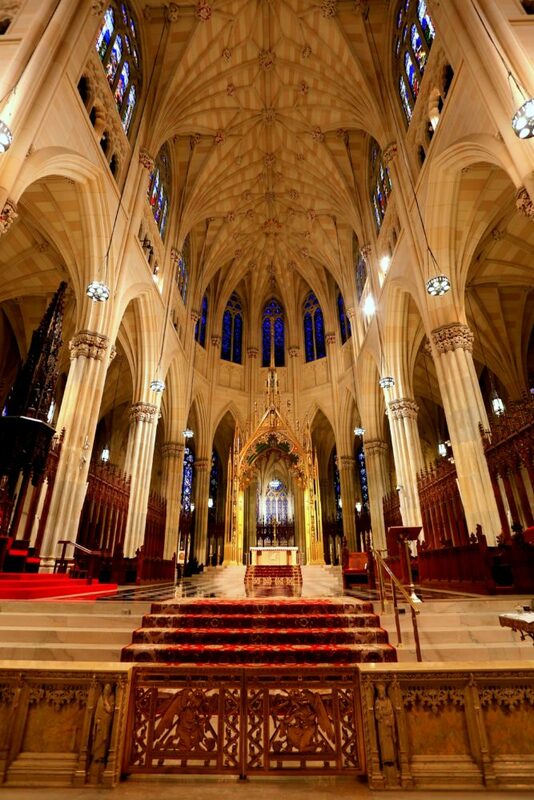 I lived in NYC for 2 years, but would you believe I never stepped foot in this cathedral? (For shame!) I’ll put it on my list for the next time I visit. I need to just be a tourist in the city! I remember seeing St Patrick’s as a kid from the outside and being blown away. The inside is gorgeous!! 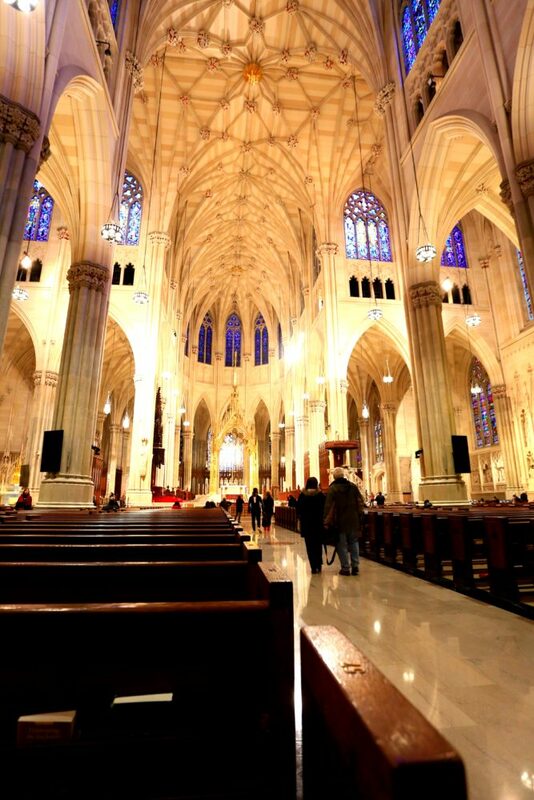 i love St Patricks cathedral. It’s the closest thing to the European cathedrals we have Such beautiful architecture. Great photos! Anything New York… I am on board! 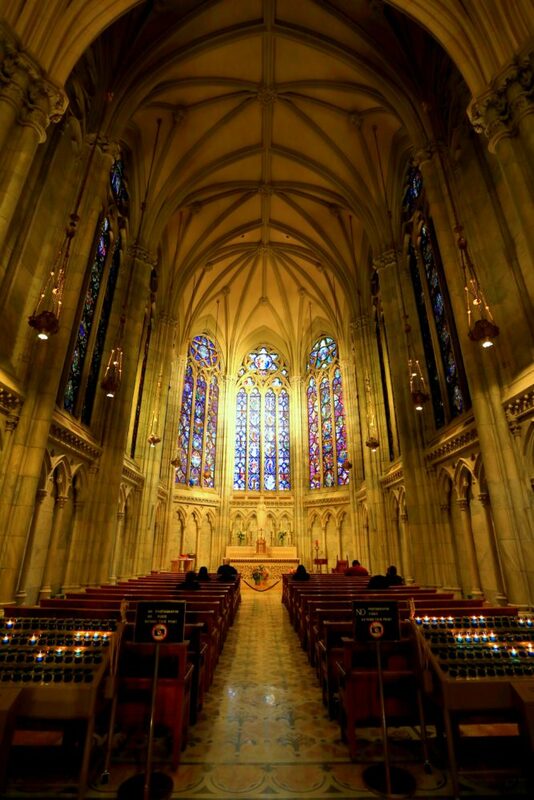 Your photos make this church look like a must do! I am adding to my list next time I am in NYC! Please do! It was totally worth stopping in. I love all the ornate details! I’ve been in this cathedral several times. It’s so beautiful! Gorgeous. I am not a religious person (though I grew up that way) but still find beauty in places such as these. Thank you for sharing about your faith. Thanks for the sweet note Jenni! I’m pretty much the same with my faith, just replace Catholic with Baptist. I’m always so impressed with how ornate and architectural cathedrals are, this one is stunning! Still haven’t been to NY but it’s on my list!! You need to visit!! It’s so stunning. I’ve walked by that cathedral a few times in my life and have never gone in. I must go inside now! It’s beautiful. I grew up in a very traditional, conservative, Filipino Roman Catholic family, and I think if a priest would have said to me what yours said to you, it would have made a world of difference with me, because that very much describes my faith now. 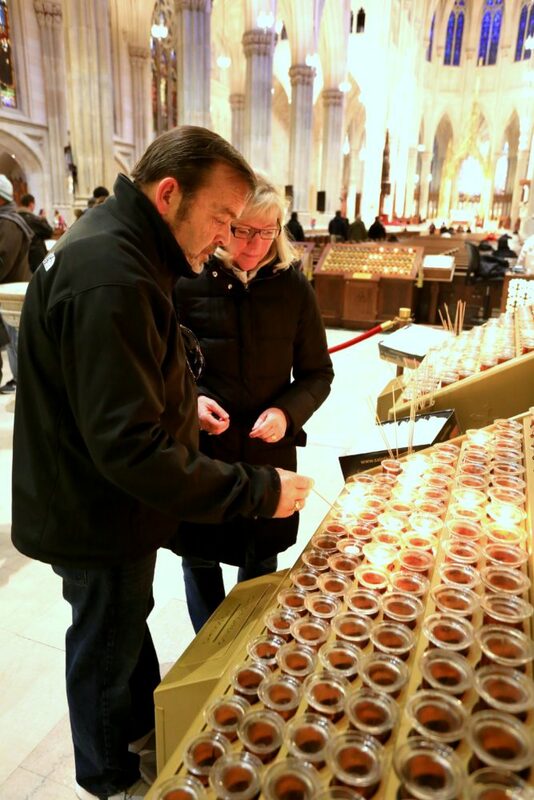 There is a Catholic church in Lucerne, Switzerland that I think you would find fascinating, because it’s so much the opposite of St. Patrick’s Cathedral in NY – and yet, holds its own, different kind of peace. 🙂 Beautiful photos, Rachel! Wow! Such gorgeous photos – such a breath taking place! Thanks Alexis!! It really was!! 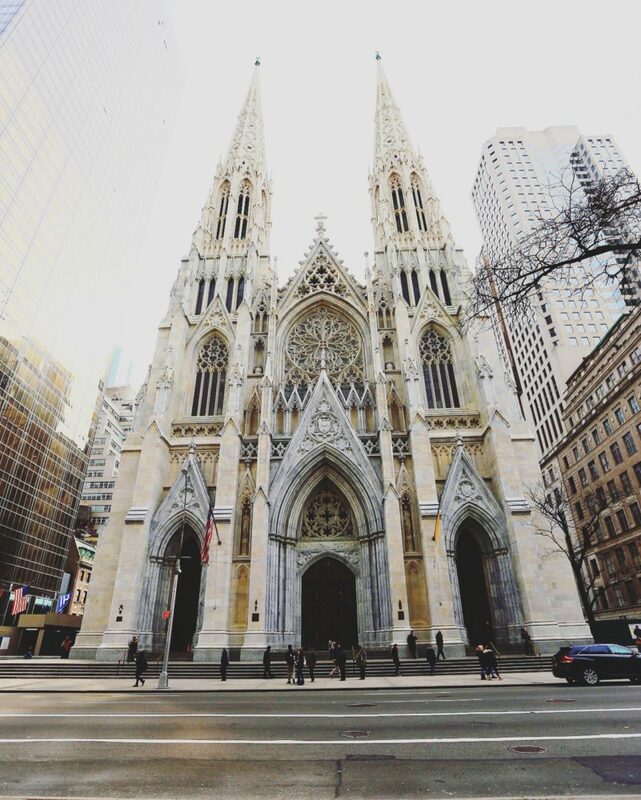 St. Patrick’s Cathedral is truly one of the most magical places anywhere! 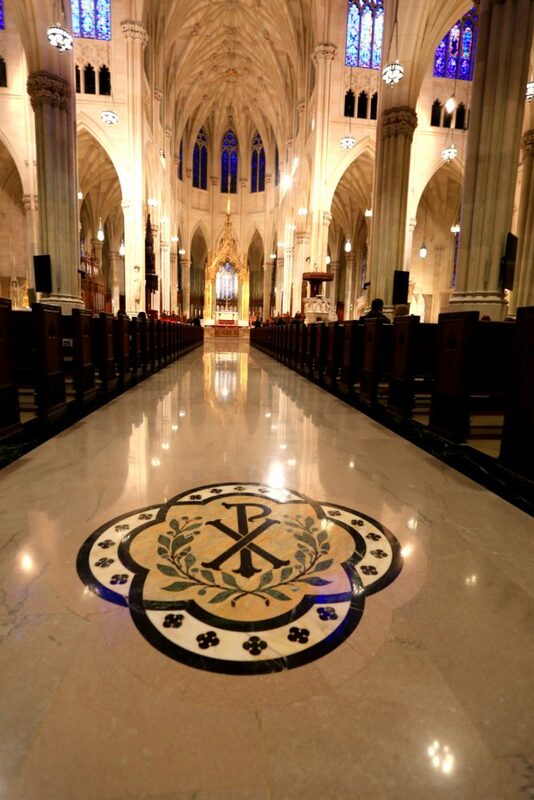 I have always loved visiting that church when I go back to NYC. Thanks for the reminder! You bet! It truly feels like an oasis in the city! Thanks for stopping by Chris. It was so beautiful Heather!! Wow, I love old gothic buildings, especially ones like this. What beautiful photography! Very inspiring as a photographer and fellow architecture lover myself.